Friendly pub with a nice welcome. The real ales they had on were uninspiring and run of the mill. I can't even remember what I ordered!!! 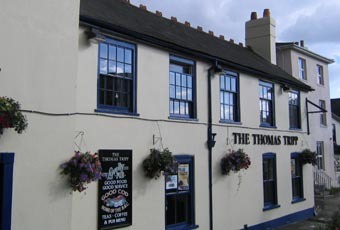 the pub is very nice however and well worth a visit. The best in Lymington (as posted by a previous person on here)?? I fear not, there are better drinking establishments in this town, the Kings Head, to name one!!!. The TT gets a lot of adverse comment, mostly unjustified. Landlord Jon Burdge is a decent chap trying to make a living in a difficult market and keep all types of customer happy. The younger crowd need somewhere to go. You were that age once and definitely made a fool of yourself in a pub. There's another bar if you don't like the chart music. The TT has given a reliable home to the Lymington Folk Club (accoustic music) on first and third Wednesdays (FREE). Most of LFC's clientele are over 40 , tho' we welcome younger folk. We drink the beer and sometimes order food which is tasty and reasonable. We've looked at other places, but we've agreed 'We like the Tripp' and we'll stay ! My personal comment - best Lymington pub since the Bugle closed in 1971 ! I'm young and I hate the Tripp. The only reason I go is because it's the last stop on the crawl up the highstreet. It has an awful atmosphere and is over run by young people. The dj is something I just don't understand. Live bands yes, but crap chart music blaring at me when i'm ordering is just a nightmare. 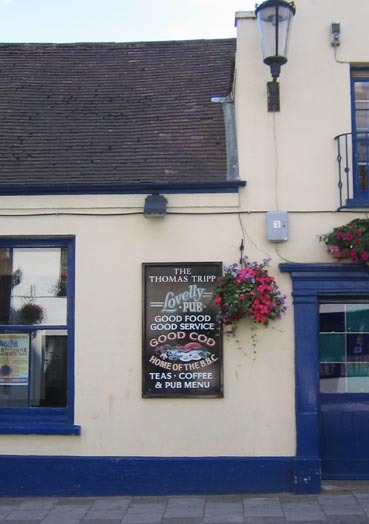 So more of a fisher price pub than a place for a drink and a chat. "These premises are strictly for over 21's". "Smart Casual Dress Only. No Headwear"
Sporting a Panama hat, and undeterred by the second sign, I entered and ordered a pint of Ringwood "Best", the other offering being "49er". The beer was in good condition, and I repaired to the outside courtyard. No smashed glasses and other such detritus but this was a lunchtime visit. Presumably, the 40 M.P.H. sign does not appertain to any vehicular speed limit, rather than to the average I.Q. of the individuals that "Jonnysaint" mentions. Not a great deal of atmosphere, I'm afraid - 4/10.